One of the great benefits of SDS/2’s connection design capabilities is its ability to recognize framing situations or opposing members and make adjustments accordingly. Occasionally, however, users may need to override these checks. While this can always be done through User connections or by making graphical changes, there are many cases where the option to Disable framing situation checks can be used to achieve the desired results. This option is located in the Member Edit window under the Connection Type section for both the left and right end of a member. Simply put, when Disable framing situation checks is turned on, SDS/2 ignores opposing members framing into the same or nearby location when designing that particular connection. The following examples are just a few where this option may come in handy. 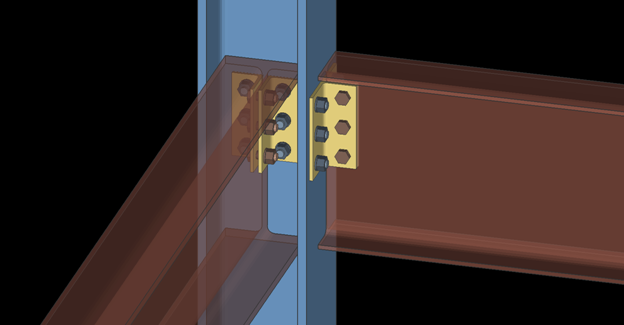 In the first example, you will notice SDS/2 uses a Cut flange width operation on the bottom flange of the beam framing to the column web. This is to make extra clearance from the bolts in the connection of the beam framing to the column flange. There may be times this Cut flange width operation is not required. 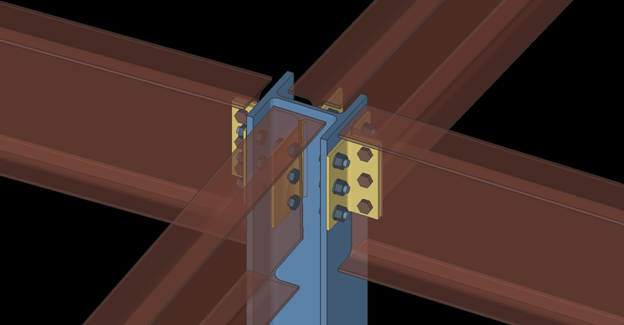 By turning on Disable framing situation checks, SDS/2 will not check the opposing members and the connection design should produce the results below, without a Cut flange width operation done to the bottom flange. Another example of this can be seen framing to the top of a column with opposing members framing to the column flange. 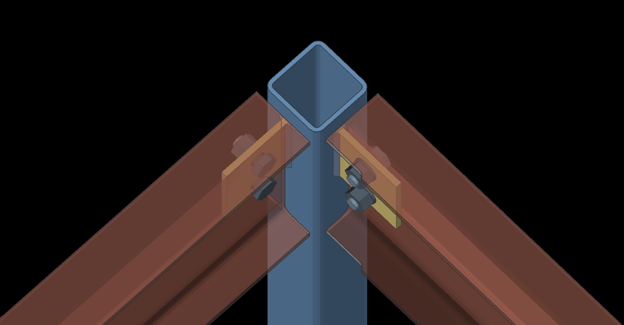 If Disable framing situation checks is turned on, the Cut flange width operation again is not applied during connection design. It is important to note that Disable framing situation checks is applied per connection, so in this example it was necessary to edit each beam and turn this on for the left end of one and the right end of the other to achieve the results shown. A final example where Disable framing situation checks may be used is at the corner or intersection of beams framing to a tube column. SDS/2 may apply a Cut flange width to both the top and bottom flanges of a beam for clearance from the opposing beam(s). By turning on Disable framing situation checks, SDS/2 will design a connection that does not have the Cut flange width applied. While Disable framing situation checks can be useful for overriding some of the above examples, there are some situations where having this turned on can potentially cause problems. 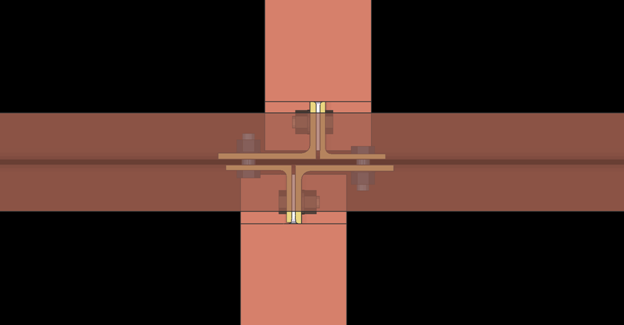 An example of this may be at a shared offset connection where SDS/2 will typically use larger angles to share the bolts in opposing clip angle connections. If Disable framing situation checks is turned on for both connections involved in this shared offset connection, SDS/2 will not account for the fact that their connections could interfere with one another when designing these connections. You can see a simple clip angle connection is designed for both connections and their bolts will clash with the opposing clip angles. These are all just a few examples of where Disable framing situation checks can be useful and also potentially cause issues. Please contact your support representative if you have further questions.